Melissa Hammond, Sales Consultant at our Norwich travel agents in store at Jarrolds, took a cruise for the first time on board Fred. 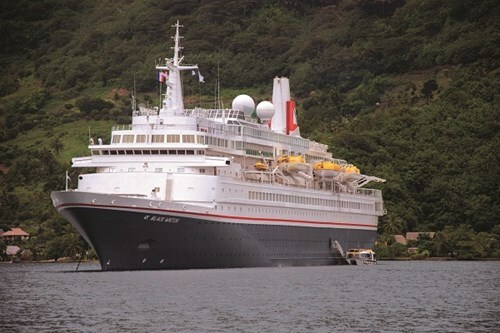 Olsen Cruise Lines’ Black Watch. After enjoying an itinerary that revealed some hidden gems closer to home, she tells us why a cruise is a fantastic holiday option. I was pleasantly surprised by the cabins on board Black Watch. The recent refit means they are a lot more modern and fresh than I was expecting. The cabins were smaller than what I have seen on ship visits for other cruise lines but that is expected for the size of these ships. They were decorated with soft, neutral colours which gave a relaxing feel immediately. The rest of the ship was also very clean and freshly decorated. It had a simple layout, allowing me to quickly find my way around and, with it being small, I was never too far away from my cabin if I had forgotten something. There were several doors around the ship leading outside, so it was always easy to pop out for a view or some fresh air. There were also plenty of seating areas both inside and outside. Even though it is a small ship, I never felt crowded. This was my main concern, being a first-time cruiser, but the low number of passengers meant there was always plenty of space on deck areas to relax in with no one or just a few people around. 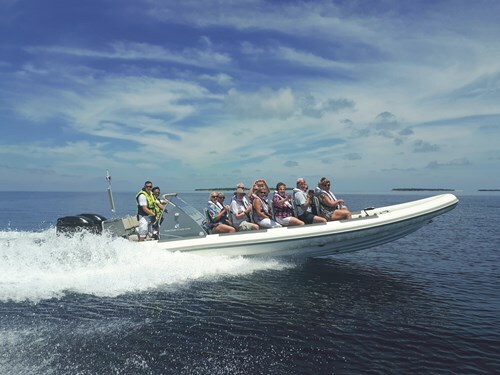 Excursions included a ride on the RIB boat around a Scottish loch, afternoon tea on board a double-decker bus on the way to Glasgow and a tour of a whiskey brewery in Tobermory. We also got to try out the afternoon tea and cheese and wine evening in the observatory lounge - both were lovely experiences. One evening we were able to try out the Black Watch Room, the speciality restaurant on board. I also gave the fitness centre a quick try out but I always seemed to be too full from all the food to get involved in the classes on offer. We had a fantastic opportunity to try out the new RIBs that Fred. Olsen Cruise Lines now have on board. We went through Loch na Droma Buidhe feeling like James Bond, riding the waves caused by other nearby boats. I would really recommend this as an excursion. Not only is it fun and unusual, but it is a great way to get up close to sights such as waterfalls. Also, eating fantastic food night after night was a real treat. I would recommend this trip to customers who are looking for a cruise where they can relax and have some 'me time', read a book, enjoy the scenery from the very relaxing observatory lounge or take a swim. There is not too much happening on board, meaning there is always plenty of communal areas to go where it is not noisy or busy and the low passenger numbers mean it never feels crowded. The food and service are fantastic. The evening entertainment is varied, we had something different every night and the dance floor in the Lido bar was open into the early hours of the morning. If you want to keep on top of your fitness while on holiday, they have a fair-sized gym offering daily fitness classes and there’s always the swimming pools. The low passenger numbers also meant that getting on and off the ship in each port was a smooth and fairly quick process, giving you the most time possible in each place. If you would like to experience a cruise with Fred, Olsen Cruise Lines or any other operator, our team can help you choose a ship and a sailing that suits you. Drop into your nearest branch today, we have travel agents in Westbourne, Lymington, Bournemouth, Dorchester, Christchurch and across East Anglia.